Contemporary elements blend with Montana style to create a clean and light modern home. 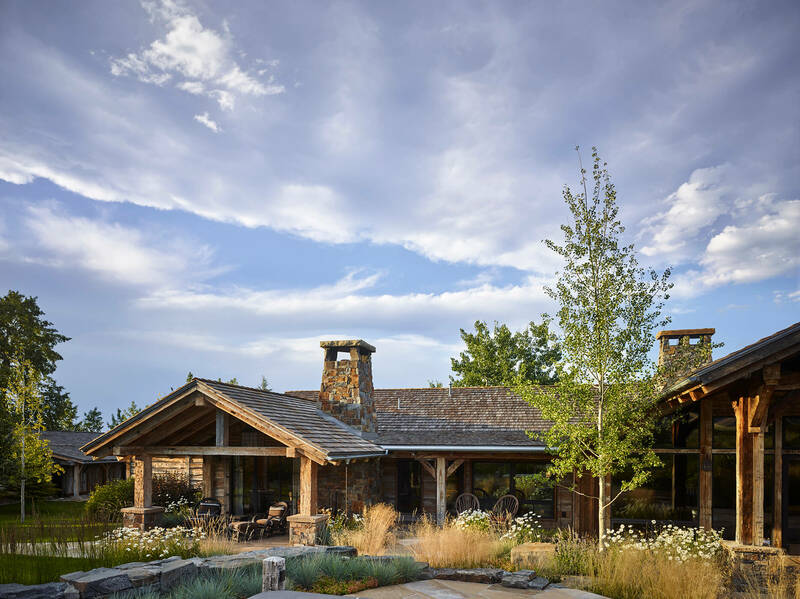 Situated alongside one of the most special waterways in all of Montana, the owner’s sought to create a feel that blended Montana style with contemporary elements to ease the transition from their urban sensibilities. While the exterior blends comfortably with the landscape by using aged materials that weather naturally, the interior plaster walls with dark stained flooring and contrasting beams give the structure a clean and light modern feel.